If you've never experienced a rafting trip or slept outdoors, relax, you are like many of our guests. Western River Expeditions makes it easy to have an unforgettable adventure whether this is your first time rafting or you're a veteran river runner. Many of our guests experiencing a whitewater rafting trip for the first time have many similar concerns. What if they don't have any prior experience? They are nervous about sleeping in the outdoors. They wonder what it's like to ride the whitewater rapids, how much time will be spent on the raft every day and so forth. We've compiled some reviews from other first time rafters and some answers to help you with these excellent questions. "I looked at the website and there were these fantastic pictures, so I was thinking, oh that’s probably the nicest sites you will see at this tour. But then, going down the river, every corner offered another unique, even better, more spectacular view, so it’s uh… yeah it certainly has surpassed my expectations. " Previous rafting experience is not required for any Western River trip. 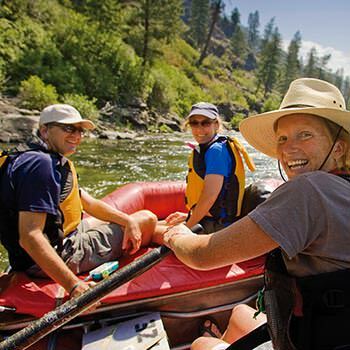 Every rafting trip with Western River Expeditions has been designed to be comfortable and accessible to most anyone. However, some trips may be more suitable for your first time. 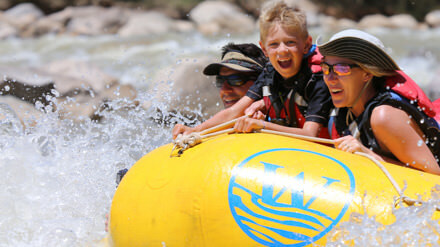 See our list of recommendations for best first time rafting trips at the bottom of this page. Western River Expeditions offers a broad range of great trips for first time rafters, some with calm rapids and others with much larger whitewater. Western also offers a broad selection of rafts so you can choose to paddle your own craft, ride in a boat with a guide at the oars, or ride aboard Western's patented "J-Rig," a large, motorized boat with seating up front for the more adventurous or aft for more protection. Although any Western River rafting trip is fine for a first time experience, many guests are more comfortable starting out with a shorter rafting trip on calmer water. If you are at all nervous about camping in the outdoors, rest assured, Western River will make your camping experience carefree. Your guides will prepare all your meals and provide you with comfortable cots, roomy tents, sleeping bags and sheets. All you need to bring is a duffle bag of personal belongings. If you're still nervous about camping, check out our lodge based trips like Rogue River, Westwater Multisport and Costa Rica. I thought I would be petrified, yet I totally enjoyed the rafting expedition. I found I was ready to experience the rapids from the front of the raft within a coupe hours of taking off. It was because of the total competence of our guides and the almost instant camaraderie of the whole group. What a wonderful experience! I will recommend Western River Expeditions to others. So glad I did it. I can honestly say I never once felt I wanted to go home early. I would have liked to extend the expedition! How is a rafting trip different from other vacations? What is a typical day on the river? After meeting your guides you will be given a trip orientation that will include how and where you can sit on the rafts, how to hold on, and safety precautions while on the river. A typical day will include rafting for a few hours at a time, stopping for scenic side-canyon hikes, bathroom breaks, lunch and possible swimming opportunities. Visiting with new-found friends and learning river lore and geology from our well trained guides adds to the enjoyment of each day. After a full day of learning and fun we arrive in camp. Guests will find their favorite campsite and then return to the rafts for the famous “fire line” - the way we load and unload rafts. Your help in passing the gear off the boat is greatly appreciated; however, if you have physical restrictions or limitations that would prohibit you from participating you are not required to help. In camp, the guides will give a demonstration on how to easily assemble the cots and tents and will be available to help you if you need additional assistance. Western River provides cots, tents, sleeping bags, sheets, camp chairs and waterproof gear bags for all guests. You’ll have no need to worry about bringing any of your own camping equipment. While you relax at the river’s edge, your guides will prepare a delicious dinner such as steak, complete with sautéed mushrooms and onions plus delicious side dishes and dessert. At night, whether you choose to sleep in your tent or under the vast canopy of stars, the fresh night air and the rhythm of the river will lull you to sleep. In the morning, your guides will prepare breakfast. You’ll have a chance to enjoy eating before returning to your campsite to take down your tent and cot and pack up your belongings in your dry bag. After bringing your bag down to the boats, guests participate in the fire line once again and you are off on another fun-filled day of adventure. If it's your first time rafting, you'll likely want to understand all the details for a particular trip. 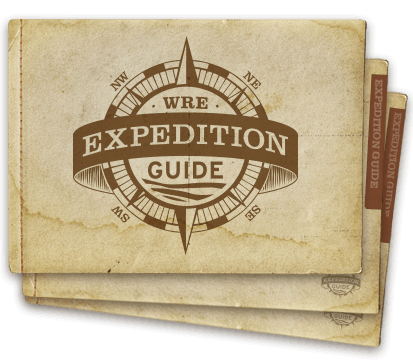 We've assembled comprehensive expedition guides for each of our trips. These will walk you through a general overview, day-by-day itinerary, answers to common questions, what you'll need to bring on your trip and what is supplied to you. Select one or two expeditions to get started. We'll send you an email with all the details. These are our favorite trips for first time rafters. These trips either offer a shorter experience on the river, providing a good taste of an overnight rafting trip or a slightly longer experience with more mellow whitewater ideal for a first time experience. This is a perfect trip for first time rafters! See Arches National Park, go off-roading and raft the Colorado River. 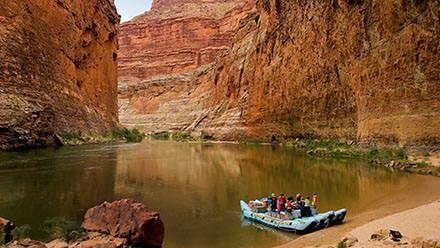 You'll spend your first two nights at a comfortable hotel in Moab, Utah before setting out for a mellow 2-day raft trip with a sample of just one night on river. If you're up for a little more adventure for your first time, spend 2 nights on the Colorado River and experience 3 days of rafting. Mix in a flight from Las Vegas, a helicopter ride into the canyon, and a jetboat ride off the river and you'll take home some unforgettable memories. 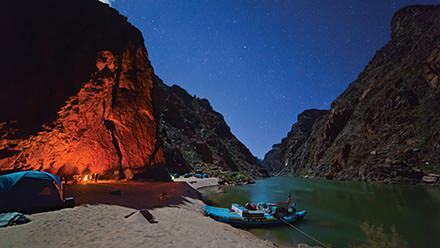 If you're okay camping on sandy beaches along the river, seeing an unbelievable show of stars, and savoring scrumptious meals every day, check out Desolation Canyon. With more moderate whitewater and options of paddling your own or riding with a guide, this is a fantastic introductory trip. The Lower Salmon River is plenty exciting, but is still perfectly fit for first time rafting and is very popular with children as young as five years old. This is also a great introduction to first-time-camping!